Main en-GB Analytical materials Analytical materials / Tajikistan When Will Tajikistan Start to Explore China? When Will Tajikistan Start to Explore China? «The majority of researches on Chinese topics focus on studying the exceptionally positive aspects of cooperation with China. At the same time, any attempts at a more or less critical consideration of various aspects of Chinese expansion in Tajikistan are characterized in the spirit of Soviet times – as “intrigues of external enemies” or “geopolitical competitors” of China», – states Parviz Mullojanov, the political scientist from Dushanbe, in his article written specifically for the analytical platform CABAR.asia. 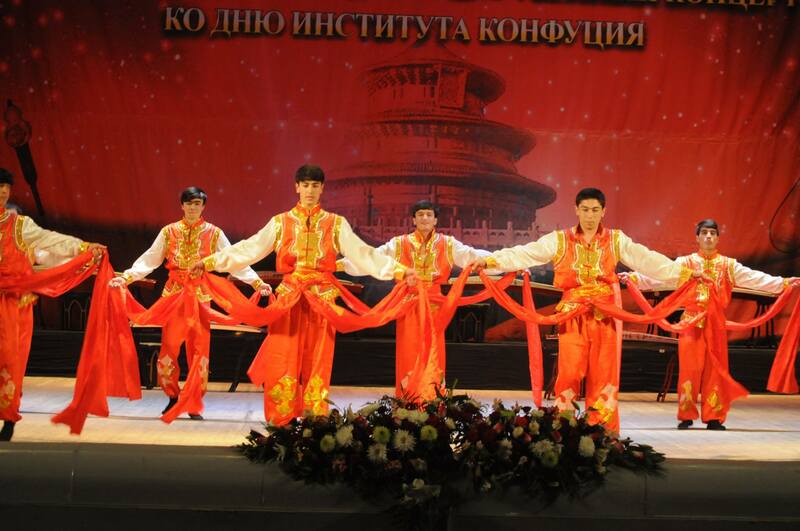 Tajik sinology is only at the beginning of its development. One of the main problems today is the absence of qualified personnel (first of all youth), the lack of funds and resources. China is rapidly turning now into one of the main economic players in the post-Soviet area – with serious and extensive geopolitical ambitions that to some extent affect all its neighbors. This is especially true for Tajikistan, because other countries in the region do not have such a level of economic cooperation with China. By April 2016, China had become the main creditor of Tajikistan, 48.3% of the total external debt of the country belongs to China – today this figure has already become higher. It seemed that in these conditions a strong scientific school of sinology, with its academic staff and traditions, numerous publications and vigorous research activity, should already appear in Tajikistan. However, what is the reality? In general, how the neighboring superpower, which plays such a key role in the country’s economy is being studied and considered in Tajikistan today? In the last decade China has paid special attention to the development of its “soft power” – this is how modern political science denotes the international image of the state, its attractiveness and recognition in the sphere of culture, education, science, and etc. The concept of Chinese soft power also includes the presence of a political, economic, and cultural lobby both at the international level and at the level of individual states, as well as influential representatives of intelligentsia and educated youth focused on China, its culture and language. It is fairly believed in modern China that the presence of well-developed and successful soft power is one of the main factors in strengthening its future presence and the key to its future dominance in the world and in Central Asia. By the mid-2000s, there was created one of the main tools for building Chinese soft power – the Confucius Institute, which has more than 500 branches around the world now, about 7 million people are already studying there. The Confucius Institute is a state structure and operates under the State Chancellery to promote the Chinese language. The main base for the promotion of Chinese language and culture in the territory of post-Soviet Central Asia is located in Urumqi city – the capital of the Xinjiang province. The Confucius Institute (in addition to studying Chinese culture and language) also trains technical and engineering personnel for Chinese companies and enterprises operating abroad. Two Confucius Institutes have been established in Tajikistan now; under the Tajik National University and in Chkalovsk town, Sughd region, on the basis of the local Mining and Technology Institute. For almost 10 years of its history, almost 10 thousand of Tajik students passed through the Confucius Institute under the Tajik National University, some of them later continued their studies in China. At both institutes, the focus is on studying Chinese, but in Chkalovsk specialists for the mining, metallurgy and oil industries are also being trained – with a purpose of their further use in the structures of Chinese enterprises and companies operating in the country. Another important direction is the preparation and training of Tajik students in Chinese universities. A serious progress is obvious – in 2010 the Chinese government allocated only 20 quotas for free education in China, in 2013 122 students were enrolled in quotas and after two years – 289 Tajik students. About 4,000 Tajik citizens in total study in Chinese universities – some of them have returned home, others will continue their studies abroad, both in China and in other countries. It should be noted that the majority of Tajik students are being sent to China primarily to study the language and technical disciplines necessary to meet the needs of Chinese companies. Only about 10% of free quotas are allocated to the master’s degree, scientific work – while the majority of Tajik MA students further specialize in Chinese linguistics, philology or technical sciences. A smaller part is dealing with research in the field of social and political disciplines, focusing mainly on issues of international integration and the development of cooperation with China. The next important direction of ​​Chinese soft power is the activity of research centers and academic institutions that are dealing with the study of the post-Soviet area, the issues of domestic and foreign policy of the CIS countries including Tajikistan. The most famous among them are the Shanghai University of Foreign Languages, the Chinese Academy of Social Sciences, the Institute of Russia, Eastern Europe and Central Asia, the Shanghai Academy of International Studies, the Center for the Study of Central Asia under the National Security Council of China, the Institute for the Study of Central Asia and the Institute for the Study of Silk Road under the Northwestern University. If the financing of Central Asian studies in the West and in Russia has been steadily declining in the last decade, we see an absolutely opposite picture in China. The main goal of the Chinese analytical centers is to provide the relevant state bodies of China with high-quality analytics, to assist in the development of the main directions and strategies of Chinese foreign policy. Another important goal is to develop cooperation with foreign scientists and analytical institutions, as well as creating a positive image of China in the local expert and academic environment. In the past few years, there has been a rapid growth in the activity of research institutes in China to study Central Asia and the CIS. The total number of annual scientific seminars and symposia on Central Asian topics already exceeds the number of such events in Russia or the United States. In other words, if the financing of Central Asian studies in the West and in Russia has been steadily declining in the last decade, we see an absolutely opposite picture in China. 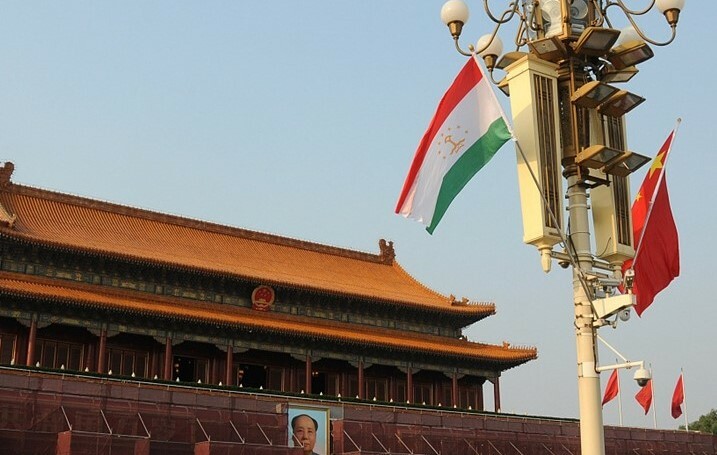 The main partners of the Chinese “brain trusts” in Tajikistan are official and government departments, which employ almost all Tajik specialists and experts, working on the topic of China and the problems of international cooperation. These are the Center for Strategic Studies under the President of the Republic of Tajikistan, the relevant departments of the Academy of Sciences of the Republic of Tajikistan, as well as several leading universities – first of all, the Tajik-Slavic University and the Tajik National University. On average, at least 10 international seminars and conferences are annually organized in China on the problems of the post-Soviet countries, the representatives of Tajik analytical institutions and departments are also invited there on an ongoing basis. As a rule, the agenda of these international forums include issues that are the most interesting to the Chinese government; the Islamic fundamentalism, regional security, integration and basic integration models are among them, as well as the SCO, CSTO, the Customs Union, etc. Tajik departmental experts actively participate in various joint collected volumes and scientific publications which are in a varying degree paid by China. There is a practice of scientific exchange but to a much lesser extent than with Russia and other CIS countries. The number of publications and studies on China remains extremely insignificant and insufficient. Firstly, it should be noted that Tajik sinology is only at the beginning of its development. One of the main problems today is the absence of qualified personnel (first of all youth), the lack of funds and resources. The experts with whom I talked also noted the absence of a state order for the development of sinology and for carrying out deeper and more comprehensive research in this area. In general, the number of publications and studies on China remains extremely insignificant and insufficient – especially in light of the growing role that China plays in Central Asia and Tajikistan today. A paradoxical, but quite understandable situation is observed in Central Asia – the greater the economic dependence on China, the fewer publications on the topic of Chinese presence can be found in media and the local academic press. Secondly, there is a significant disbalance in the research topics of ​​China. The majority of researches are mainly about Chinese linguistics and philology. Most of other publications are devoted to integration issues, integration models in the post-Soviet area, promoted by China and Russia. There are very few publications and studies (as well as sinologists-economists) on the problems of PRC’s economy and domestic policy. This thematic disbalance is also caused in many ways by the interests of the main sponsor of sinology in Tajikistan – China itself. China as in other countries of the region allocates funds and quotas mainly for the training of local translators and technical specialists for the needs of Chinese companies and other economic structures in the region. Chinese brain trusts are ready to use local political scientists and economists to study more deeply the region and the states in which China is investing. As a rule the PRC is not interested in sponsoring local social sciences. The Chinese authorities have always been sensitive to criticism – therefore, the development of political sciences in China itself also faces a number of restrictions. Even less China is interested in funding and supporting deep and objective research on its domestic political and socio-economic problems. There is a complex of such serious and intractable issues and contradictions, the attention to which can significantly undermine the efforts of the Chinese authorities to improve their international image. As an example of such an undesirable issue the methods of resolving the problem of the Muslim minority in China can be cited. At present, about one million people from more than ten million Uighur (also partly Kazakh and Kyrgyz) minorities are kept in the centers of so-called “political re-education” camps, which as a matter of fact are concentration camps. Thirdly, it should be also noted that there is a significant disbalance in the direction and nature of research projects and publications on Chinese topics. The majority of researches (at least in the public domain) focus on studies of very positive aspects of cooperation with China. As a rule, they emphasize a positive effect of Chinese-Tajik cooperation in the framework of joint integration and economic projects, cooperation in combating terrorism, and substantiation of intergovernmental treaties and agreements is carried out. Even in scientific works, Chinese-Tajik cooperation is exclusively characterized in pink shades, in a style associable with articles from Soviet newspapers — with the massive use of such terms as: “disinterested assistance”, “equal partner”, “good traditions of good-neighborly relations”, etc. At the same time, any attempts at a more or less critical consideration of various aspects of Chinese expansion in the country are characterized in the spirit of Soviet times – as “intrigues of external enemies” or “geopolitical competitors” of China. The lack of critical analysis today is a problem of not only Tajik sinology, but also of political researches in general. This is largely due to the fact that the analytical school in Tajikistan (as well as in the region in general) has not been formed yet. The concept of a modern analytical school is a multi-structural phenomenon and implies the existence of at least four components – departmental (official) analytics, non-governmental expert community, independent journalistic analytics and, of course, a market for analytical products. All these elements are designed to coexist together, complementing each other organically. The Departmental analytics has the best access to information and data, but it is limited in scope and openness – therefore, it is often forced to say what the top expects from it. On the contrary, the von-governmental analytics often suffers from insufficient access to information, but has bigger opportunity to say what it thinks. The media analytics is designed to work with public opinion, involving both official and independent experts. The market for analytical products ensures the financial and organizational sustainability of the entire system, saving governmental expenses. Ideally, possessing the products of departmental analytics, independent experts and analytical journalism, the government can choose from several options of approaches, taking the most optimal and balanced decisions, with the best consideration of national interests. Unfortunately, only one component is relatively developing now in Tajikistan – the departmental analytics, which suffers itself from a lack of funding and qualified youth. Therefore, underdevelopment of the national analytical school affects the development nature of both sinology and political science in the country. China as a state with export economy is not interested in creating competitive industries in neighboring countries. China is not a charitable organization or humanitarian agency that sets as its goal (at least on paper) the development of Tajikistan. Such terms as “extension work”, “development assistance” and “capacity building” are used only by Western donors, while the PRC prefers to talk about “cooperation and equal partnership.” Therefore, China does not hide the fact that the main objective of this cooperation and partnership is to ensure its own national development. This includes the implementation of the go out strategy, which means access to mineral resources in other countries, transfer of its surplus labor force there and creation of sales markets for its industrial products. China as a state with export economy is not interested in creating competitive industries in neighboring countries. Therefore, a key condition for the disbursement of Chinese loans is to employ their companies as contractors, use their equipment, mainly their labor force and personnel. Of course, under such conditions the technology transfer does not occur and local labor resources largely remain unengaged. China has developed a loan scheme in exchange for mineral resources and other assets (including property and land) of the recipient countries in order to secure its investments. First of all, one of the main questions is how much the above-mentioned long-term strategy of China complies with the National Development Strategy of Tajikistan – i.e. with the objectives of Tajik industry development, creating jobs and gradual return and arrangement of labor migrants in their homeland? The answer to this question now will be rather negative than positive. As a result, quite paradoxical situations occur when Tajik peasants in a massive scale leave for work in Russia, labor resources at the same time are imported into the country from China. Therefore, the next important question is: how can the state protect Tajik producers, small and medium businesses and peasantry in the context of growing expansion of Chinese industry and goods? Recently, Chinese experts are increasingly openly saying that China has the right to protect its investments and economic interests in other countries by any available means. Here arise a number of problems and issues directly related to national security, such as: where is the “security threshold” for Tajikistan, beyond which a further receipt of Chinese loans would make irreversible the current economic dependence on China? Where is the edge beyond which an economic influence will become political? Traditionally, China is well known for its not interfering in domestic policy of its partners and not negotiating the political conditions for disbursement of its loans. However, at international symposia recently Chinese experts are increasingly openly saying that China has the right to protect its investments and economic interests in other countries by any available means. From the point of view of China’s interests it will be quite logical and reasonable approach. In general, economic dependence soon or late turns into political dependence as international experience shows. China is known for not restructuring its loans, does not forgive debts, and in case of non-payment prefers to receive assets of the borrower. Secondly, there are issues related to long-term forecasting, the development of scenarios and possible options for the further development of Tajik-Chinese relations and the implementation of agreements and contracts in the economic sphere. This includes questions concerning the conditions for the future repayment of loans that are already or being received. China is known for not restructuring its loans, does not forgive debts, and in case of non-payment prefers to receive assets of the borrower. In a number of countries where the authorities could not find funds to repay the debt, resulted in a full transfer of local assets to the Chinese side. For example, a large seaport in Sri Lanka was built with the funds of Chinese long-term loan, which came under the control of the Chinese side because the local government did not have money to pay the debt. The countries that receive loans give Chinese companies their field deposits for a long time, after which they must be returned to local jurisdiction with the wording “by mutual consent”. The question is: what will the debtor country do if such “mutual consent” is not achieved? Chinese companies usually prefer to work in third world countries under the old rules, without complying with environmental regulations. Another group of issues, which is practically untouched in Tajikistan and in the region as a whole relates to the problem of environmental safety. Due to the industrial revolution and modernization of the last decades China has developed a depressing situation in the field of ecology. First of all it is due to the uncontrolled activities of local industrial production – the refusal of sewage disposal plant, massive disregard of environmental safety rules. Chinese government has only in recent years begun to take tough measures against violators of environmental technologies. However, Chinese companies usually prefer to work in third world countries under the old rules, without complying with environmental regulations. Therefore, the problem of environmental monitoring arises. It is not directly related to political science but still equally important though. Of course, it will be difficult now to find unambiguous answer to all these questions and challenges. It is necessary to conduct a whole series of regular and long-term studies for this, involving specialists and experts of a wide variety of fields. Primary importance here will be the state order – i.e. the official structures have to be awareness of the seriousness of the problem and form of a new state policy in this direction. A whole range of measures for Tajik sinology development, a modern analytical school, an increase in state funding for departmental analytical structures, state universities on one hand and support of non-governmental expert groups and organizations on the other should be included into this policy. At the same time, it is not so important that critics or apologists of Chinese economic expansion will be right – this topic itself has great importance for the future of Tajikistan, national security, preservation of Tajik state and political stability; in any case, it cannot be left without thorough study.